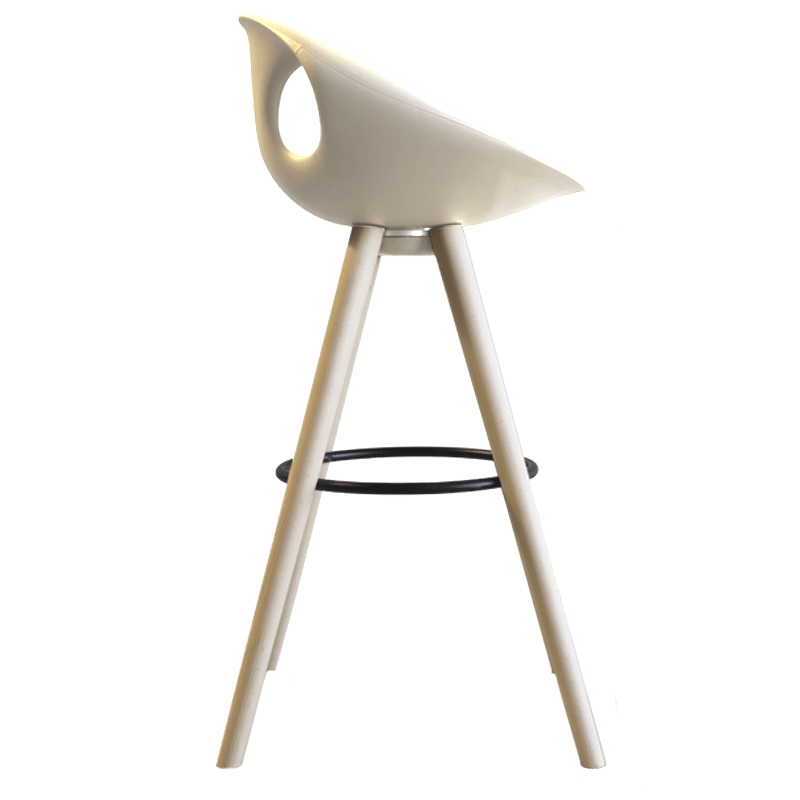 Barstool with seat in integral foam. 4-legged wood base with 360° swivel memory return mechanism. Custom colors available in quantities of 50 pieces or more.